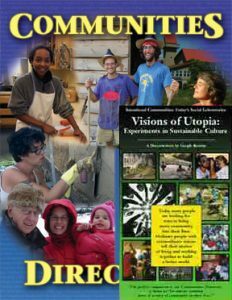 It may be a mouthful to say, but it sure is fitting for this nearly 600 page, incredibly comprehensive guide to American intentional communities. 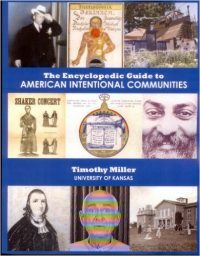 This encyclopedic book chronicles from the first European settlements in America to the present (copyright 2013) and references over 3,000 communities of all sizes and life-cycles, spanning from the obscure to the well-known. The Encyclopedic Guide includes a short sketch of each community and basic information about its founding and operational policies. It provides up to three references for additional research as well as the community’s web site. 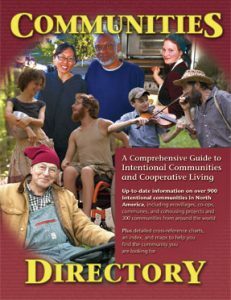 A great accompaniment FIC’s Communities Directory (which provides information for over 1,200 intentional communities worldwide today), The Encyclopedic Guide offers a historical reference perfect for any library, archive, and the avid ic lovers and enthusiasts. Check it out now! His research is based in large part in field work, and he has visited many of the communities and historic communal sites covered in this work. Among his books on communal studies: American Communes, 1860-1960: A Bibliography; The Quest for Utopia in Twentieth-Century America; The 60s Communes; The Modern Utopian: Alternative Communities of the ’60s and ’70s; America’s Alternative Religions (editor); Spiritual and Visionary Communities: Out to Save the World (editor). Visit the Finding & Creating Community category page to see all our books that support your movement towards a life of community and cooperation. The Communities Directory Archive Bundle packages all the Directory relics and cuts the cost almost in half! 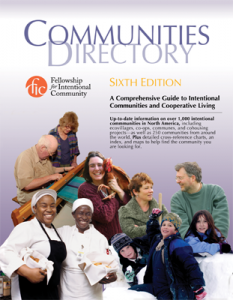 Before FIC began publishing Directory books, we offered Communities magazine issues as directory listings. 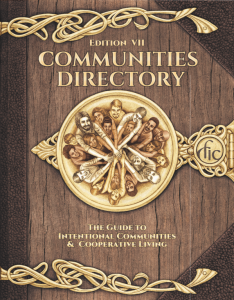 The Communities Directory Archive Bundle includes 10 digital downloads of the Communities magazine issues spanning 1972 to 1990, plus 4 physical copies of previously published Communities Directory books and 1 copy of our current 7th edition of Communities Directory.